I only buy my bumpers from you. Our family goes on a summer vacation every year and with sometimes 7 dogs chasing bumpers in the lake you need bumpers that last. Live all your bumpers, but we notice most of the dogs like the soft mouth. We are using the Dokken foam training dummies for our puppies. They are lightweight and easier for them to carry properly. I bought one of these several months ago and liked it so much I purchased three more in different colors. I bought them originally because they are soft, and I was hoping to reduce the wear on my Lab's teeth (she does not know when to stop). I have bought dozens of dummies over the years, and these are the most impressive. So far they have been impossible to wear out, at a price less than just about any other brand. Easy to toss a long way. Highly recommended. "This is a great dummy for puppies or young dogs being introduced to dummies." This is a great dummy for puppies or young dogs being introduced to dummies. It is light weight and has some give and is a size that the dogs really like. Also sits up on the water to make it a good first dummy for puppy water retrieves. Doesn't go as far when thrown since light but a good dummy to have. "The Dokken dummy is extremely light and extremely soft." My four-year-old Lab is such an aggressive retriever. She is wearing down her canine teeth from the combination of a hard bumper and dirt. My vet suggested that a softer dummy might be easier on her teeth, so I decided to add some softer ones to my dog's collection. The Dokken dummy is extremely light and extremely soft. So light, that I thought I would not be able to throw it very far. Much to my surprise, it actually travels further with less effort than one of the larger hard rubber bumpers I am used to using. This would also be an excellent training dummy for a puppy since it is extremely light. The only caution is that it can be chewed, so it should not be left with an unattended or hard-mouthed dog. I now rotate the Dokken foam dummy with other heavier dummies (I don't want my dog to think all birds are this light in weight). I am also pleased that the Dokken product seems to be more durable than I had expected. Will it help preserve her teeth? I don't know, but it can't hurt. "Perfect size and nice soft material." Perfect size and nice soft material. "We use this for dock diving, and my pup loves it because it fits his mouth just right and is soft and easy to keep his grip on." 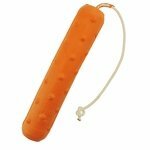 We use this for dock diving, and my pup loves it because it fits his mouth just right and is soft and easy to keep his grip on. "These are quite dense, durable dummies." These are quite dense, durable dummies. They should last a long time, through many tug-of-wars with my shephard. "They seem to like the softer material and is much more affordable every day option than one of the bird dummy's." I previously had a lab, so I never really had to teach a dog to want to retrieve. My spaniel was a bit more stubborn with this part of his bird training. A Remington Dummy made out of the same type of material was his favorite dummy, and what I used to finally get him to reliably retrieve. Unfortunately, it was chewed up by another pup, and I have been searching the stores for a similar type of dummy without luck. He loves this replacement dummy and carried it around the house all day when we gave it to him. I recommend this style of dummy for anyone training a reluctant retriever. They seem to like the softer material and is much more affordable every day option than one of the bird dummy's. Using it for a Dock Diving toy. My dogs love them. "Puppy unable to damage. Nice!" Nova Scotia Duck Toller. Hunts. Family pet. Competes. Though budget priced, high quality foam filled dummy. No chemical smell. Puppy unable to damage. Nice! These dummies are great. I have used many different dummies training three dogs and these last longer and hold scent better. I think they help to prevent a hard mouth. "Great soft bumper for starting retrieves." Great soft bumper for starting retrieves. I was looking for the bumpers like the ones used in dock diving competition and finally found them here. They work great, and now my dogs and I can practice with the real deal. 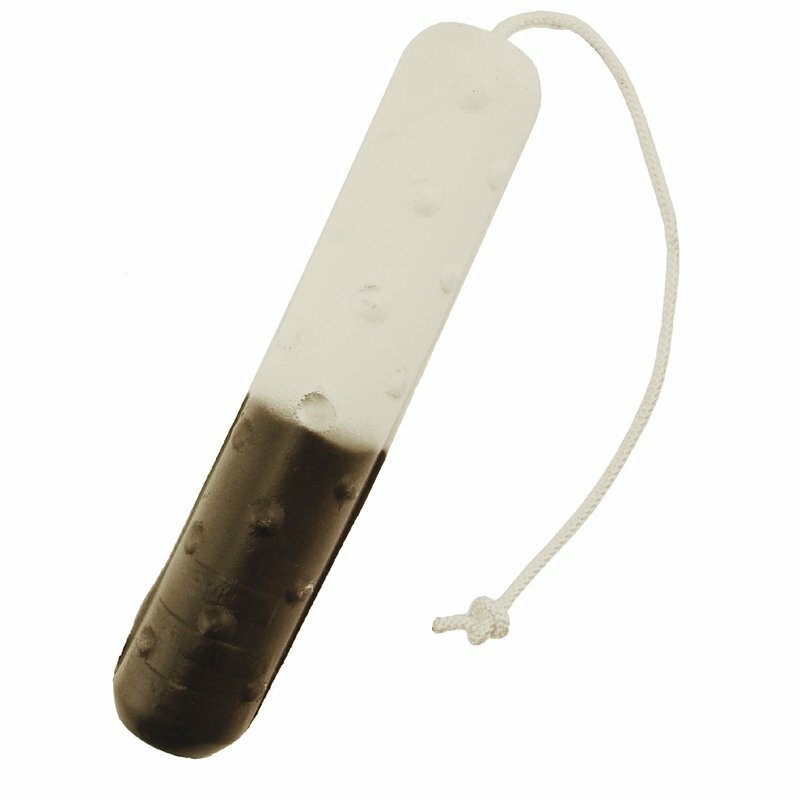 "Perfect for my dogs to train with"
Perfect for my dogs to train with for dock diving events. "These bumpers are the best I've used." These bumpers are the best I've used. Long lasting and with added scent. I feel like you can't best them. "Great for younger dogs in training!" Great for younger dogs in training! Soft bumper allows dog to comfortably grab it when teething. "Durable and holds scent well"
Durable and holds scent well. I have used these dummies to train three dogs over the last 20 years, and they are head and shoulders better than the dummies I used before I found these. "Great product for large and small breed dogs." Labrador,English Cocker Spaniel. Hunts. Family pet. Competes. Great product for large and small breed dogs. I've used half a dozen for several years on Springers, Cockers and Labs. They hold up well and are great on land or water. Love Em! I have use the hex and other hard rubber dummies. My dogs do not get "mouthy" with thesel as they sometimes do with other harder types. Work very well with puppies. Softer texture seems to be more cofortable to pups. Could have a tougher outer skin, but works well overall. Nice for starting a pup- light in weight, nice size. Our dog chewed the rope end off in 5 min. Tom Dokken's "Super Dummy" is made of the same natural feel foam as his Dokken Dead Fowl Trainers. The Dokken Super Dummy WILL NOT SINK. It will float even when punctured. Training scents may be injected directly into these dummies for added realism just as with the Dokken Dead Fowl Trainers. 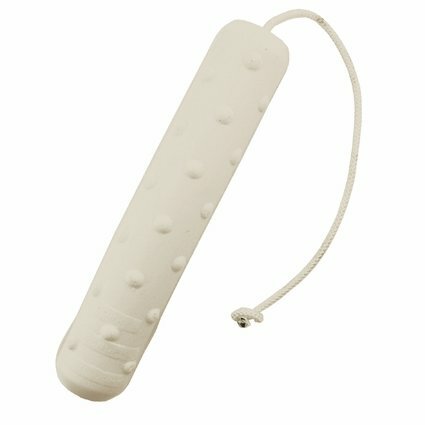 Features a nylon throw rope molded into the dummy. It weighs approximately 5.5 ounces and measures 2" x 10". For pups 4 months and up. To internally scent your Dokken Super Dummy: Inject the training scent into the middle of the foam dummy in six different locations using the Dokken's Dead Fowl Scent Injector or a syringe (not provided). The foam body is designed to hold the training scent whether using the dummy in or out of the water. 1/2 to 3/4 ounce of training scent is sufficient.